Offering you a complete choice of products which include edta cu / chelated copper. With the assistance of our professionals, we supply a wide array of EDTA Cu / Chelated Copper that is used to promote flavor retention, reduce discoloration and prevent vitamin C degradation. The provided chelated calcium is processed using the finest quality chemical compounds and cutting-edge technology by our skilled professionals. We offer this chelated calcium to our esteemed clients in varied packing options in accordance with the needs of our clients. 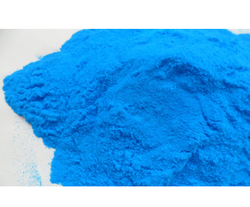 Looking for EDTA Cu Chelated Copper ?